RISE Scheme to Promote Higher Education in Schools by Central Govt. Central government is going to launch RISE Scheme for Infrastructure development in education sector. Subsequently, govt. will provide low cost funds to all govt. higher educational institutions to promote higher education in schools. Accordingly, this scheme will cover all centrally-funded institutes (CFIs). In Union Budget 2018-19, govt. has announced the launch of this scheme with total investment of 1 lakh crore in the upcoming 4 years. RISE stands for Revitalising of Infrastructure and Systems in Education. Under this scheme, govt. will revitalise infrastructure, open new schools for Scheduled Tribe (ST) candidates and will also promote programmes for teachers. The primary objective is to improve quality of education for students. Restructured Higher Education Financing Agency (HEFA) which is a non-banking financial company is given the responsibility to implement this RISE Scheme. Indian Institutes of Technology (IITs) will get largest part of loans on offer under RISE Scheme. Henceforth, this scheme will change the existing funding mechanism of grant assistance (Fixed budget grant of around Rs. 10,000 crore p.a) to CFIs. Now CFIs will get loans which will assure extra funds & greater accountability. Henceforth, this scheme will ensure efficient and timely completion of projects. Under this scheme, all the CFIs including central universities, IITs, IIMs, NITs and IISERs can borrow a sum of Rs. 1,00,000 crore in next 4 years. Accordingly, these govt. educational institutions can utilize these low cost funds for expansion and building new infrastructure. 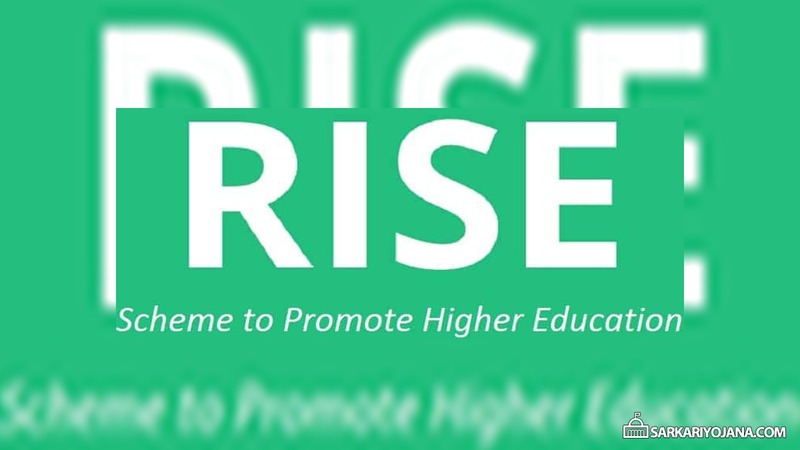 The primary objective of RISE Scheme is to promote overall quality of higher education in all central govt. funded institutes (CFIs). Subsequently, HEFA will mobilize funds from market and will offer 10 year loans to all central govt. run institutes. Finance Minister Arun Jaitley has announced the launch of this scheme in Union Budget 2018-19 for quality education. HEFA will finance funds for infrastructure development at CFIs in higher education. Subsequently, HEFA was set up by central govt. as Section 8 company (company having charitable objectives) in 2017. Accordingly, this company will now mobilize funds in market and will provide 10 year loans to all centrally-run institutes. For mobilization of corpus of Rs. 1 lakh crore, HEFA will require Rs. 10,000 crore. Out of this total sum, central govt. will provide Rs. 8,500 crore. Moreover, Canara Bank will bear the remaining amount as Canara bank was the partner of central govt. for setting up of HEFA. All the projects whether infrastructure or research projects which are sanctioned by HEFA are to get completed till December 2022. Under this scheme, HEFA will directly release the sanctioned amount to vendors or contractors. However, this amount will get released only after the certification of executing agency and educational institution. Under RISE Scheme, all the CFIs will have to repay the borrowed amount (loans) in a time frame of over 10 years. Furthermore, Loan Repayment modes will be different for institutes i.e on the basis of their internal revenue. This is a major attempt of the Central govt. to provide quality education to all students. Accordingly, students will get better infrastructure and basic facilities which will enhance their learning capabilities. This will result in decreasing unemployment and will thus contribute towards the growth of nation.